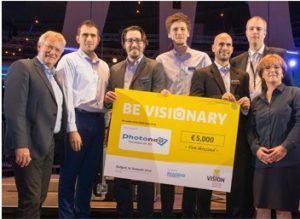 The Photoneo team burst with joy after being announced winners of the Vision Award 2018. Photoneo won the Award with its new MotionCam-3D camera due to be launched at the end of the year. Based on Photoneo’s own patented technology, Parallel Structured Lighting, implemented by a custom CMOS image sensor. 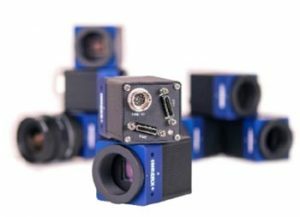 MotionCam-3D is the best close and mid-range 3D camera for sensing in rapid motion, due to the highest resolution and highest accuracy in its category. The groundbreaking technology had been the very reason why Photoneo was established in 2013. MVTec believes that the trending technologies of deep learning and embedded vision will continue to be highly influential for future machine vision methods and applications. In the coming year MVTec’s software products Merlic and Halcon will be augmented with new, handy features based on high-end technologies. These are due to be released in Q1 and Q2 of 2019 respectively. MVTec also plans to increase their software with further development and debugging tools. SWIR filters from MidOpt are designed to enhance the image quality of InGaAs cameras, and are useful for applications imaging from 900nm to 2,300nm. aid in the development and efficiency of autonomous vehicles and lidar systems. 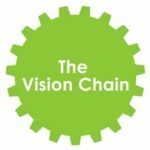 The latest two libraries of Open eVision were a big focus at Vision 2018. One of which being EasyDeepLearning, a Convolutional Neural Network-based image classification library. 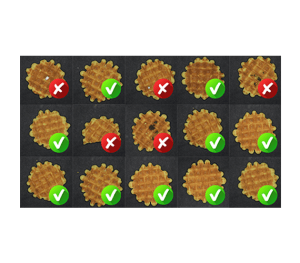 EasyDeepLearning has been tailored, parametrised and optimised for analysing images, particularly for machine vision applications. 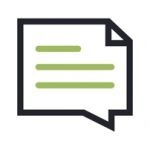 EasyDeepLearning has a simple API and can be benefitted from with only a few lines of code! In addition, Easy3D is an additional set of software tools, assisting 3D inspection applications. Easy3D is able to generate a depth map from a series of images that contain a laser line projected on the inspected object and computes a calibration model applied to depth maps to transform them into calibrated 3D point clouds, providing functions to generate ZMaps. This kit provides you with all the components you need to evaluate the dart BCON for MIPI camera module and easily design it into your embedded vision system. 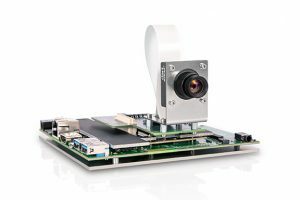 The dart BCON for MIPI camera modules fully utilises the ISP in Qualcomm Snapdragon 820 on a Linux operating system (Linaro). 10 Gigabit Ethernet, or 10GigE, is the newest interface for machine vision applications. 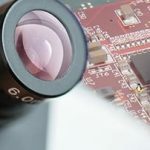 Imperx proudly adds their 10GigE cameras to their product mix. 10GigE benefits include: excellent speed and distance, quick and simple setup, reliability, backwards compatibility with GigE, efficient CPU usage, GigE Vision compliance, and more. 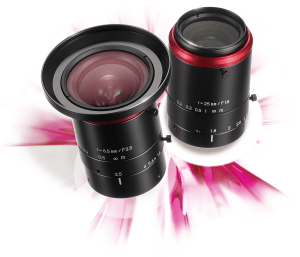 Kowa has released a new lens series for 12MP cameras with a 1.1″ chip size and a pixel size of 3.45µm. The new FC series is optimised to fit the micro lenses of the new Sony sensors IMX253 and IMX304, so that unwanted shading on the sensor is prevented. The lenses are also wide-band coated which effectively decreases flare and ghosting and produces a high transmission from the visible to the NIR wavelength.